Back pain is a pretty common ailment, however, it can vary on the spectrum of pain, from minor to debilitating. Chronic back pain sufferers may find themselves reaching for aspirin frequently, while this may mute the pain, the bad side effects can be accumulating, doing a number on your liver and stomach. Sometimes, you may find that you have built up a tolerance to these pain reliever and may require more, increasing the potential risk of side effects. Fortunately, there is a more, natural approach on the table. Essential oils may not only offer soothing pain relief, but they also take a more holistic approach, treating frazzled nerves that could lead to spasms. Essential oils are derived directly from nature, distilling the essence of plants in a handy little vial. These little oils bottles may seem innocuous, but essential oils are extremely powerful and are often used in medicine to treat various aches, pains, and ailments. So if you’re looking for a more natural way to handle your pain management, there is a wide array essential oils and application methods that can treat your particular kind of back pain. Typically, three million people suffer from back pain per year for varying reasons. This common ailment is characterized by aches, stiff muscles, and tension in your back. Pain typically comes about due to lifting incorrectly, bending, or poor posture while standing or sitting. Some people experience such bad back pain that they get spasms. These are characterized by involuntary tightening of the muscles and they common on suddenly like a bolt of lightening. These contractions are often the result of strain, overuse, or weakness of the muscle. Genetics: Heredity can play a role in back pain, usually in the form of arthritis or other disorders that may affect the spine. Advanced Age: The older you get, the more likely you are about to experience back pain. As people get older, they may find that certain activities may take a more physical toll than they did when they were younger. Take it easy, friend. Overweight: If you’re carrying around an excess amount of weight, its going to put extra stress on your back. Shedding a couple pounds should remedy this problem. Lack of Exercise: People that don’t get enough exercise and condition their muscles are more likely to suffer from muscle injury, spasms, and tightness when engaging in physical activity. Physically Demanding Job: Jobs that involve a lot of lifting, pushing, or pulling can take its toll on your spine and back muscles. People that have office jobs and sit at a desk all day may also experience back pain. 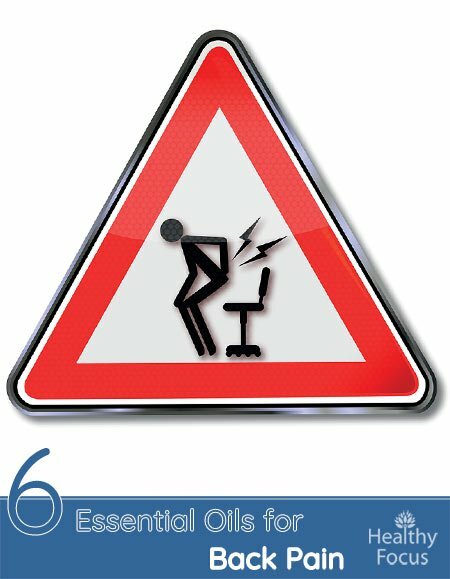 Smoking: Smoking can definitely be a factor in back pain. Smoking prevents the body from properly absorbing nutrients into the spinal disks. Smoking also delays healing time of sore muscles and back pain. Illness: Some diseases may cause back pain, such as inflammatory conditions like arthritis or some forms of cancer. Now that you have learned the ABCs of back pain, let us discuss what you can do about it. We have already learned that pain relievers like aspirin aren’t ideal due to their potentially toxic side effects. Aspirin and NSAIDS can damage the stomach long term—both by irritating the lining and potentially damaging the flora balance. Fortunately, nature has gifted us with essential oils, pure essence of the earth often used in medicine that can help treat back pain. 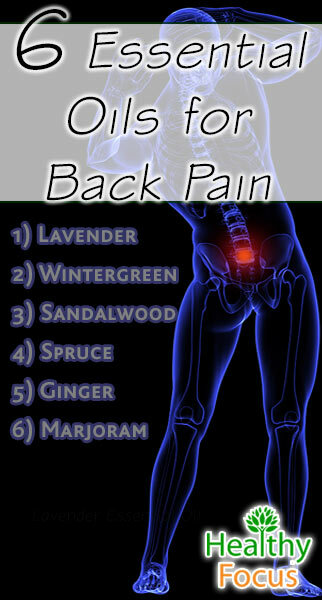 There are several varieties of essential oils that can address specific types of pain, as listed below. If you’re back pain is the result of stress and tension in your life, trying looking into sweet, tranquil lavender essential oil. This gentle essential oil is a major pain reliever, healing such ailments as muscle cramps, muscle strain, tension, stress, headaches, and insomnia. Research has also found that using lavender essential oil along with acupressure treatment helps lower back pain by nearly 40%. This minty, effervescent essential oil naturally contains methyl salicylate, which is the main pain-relieving ingredient in aspirin. Studies have found that wintergreen essential oil is such a powerful analgesic, that it almost works like a cortisone shot, quickly knocking out pain. This healing essential oil contains anti-inflammatory, antispasmodic, and analgesic qualities, making it the ideal natural treatment for back pain and spasms. For centuries, Native Americans have used wintergreen essential oil as a tonic to treat pain. Wintergreen essential oil is so powerful, that it should be used with care—children and people suffering from epilepsy should seek another essential oil for their back pain. Wintergreen essential oil should also never be ingested, as it can be toxic. If muscle spasms are what is ailing you, this woodsy, spicy, warming essential oil may be for you. Popular in Ayurvedic medicine, sandalwood is revered for its anti-inflammatory properties. Sandalwood can help with back pain associated with arthritis and overused muscles. Infused with a deep, earthy smell, sandalwood essential oil helps melt away stress and tension, which can have your back muscles in a vise. Spruce essential oil is a sweet oil that has long been used to treat various physical and mental stresses on the body and mind. Arthritis is a painful and chronic condition that can be debilitating, fortunately, spruce essential oil has been shown to alleviate symptoms associated with this condition along with symptoms of sciatica, bone pain, lower back pain, and rheumatism. Another staple of Ayurvedic medicine, ginger essential oil is perfect for those experiencing stiffness and inflammation of the muscles. Research has found that applying this spicy essential oil on the affected area blocks the development of eicosanoids. Eicosanoids are responsible for producing the physical feel of pain. Those suffering from rheumatism and arthritis seem to especially benefit from the pain relieving affects of ginger essential oil. Marjoram is just what the doctor ordered if you are suffering from stiff, tense muscles, spasms, and pain associated with arthritis. A natural sedative, marjoram essential oil melts away emotional and physical stress. 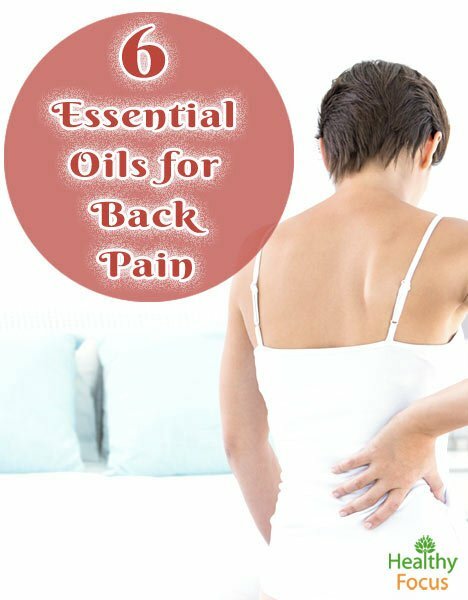 There are several different ways you can use essential oils to treat back pain. Everyone’s pain and body are different, so some of these methods of pain relief may be more effective than others. Mix 10 drops of an essential oil of your choice with a carrier oil such as coconut oil or jojoba oil. Massage this blend anywhere you feel pain or stiffness. A nice hot compress can bring soothing relief to overused, tired muscles, muscle injuries, and inflamed joints. Simply dip a cotton cloth in warm water and wring out the excess moisture. Add 5-10 drops of your preferred essential oil and apply directly to the affected area. Use a compress whenever needed. Soaking in a nice warm bath is great for both your soul and achy muscles. For an ultra healing bath, add two cups of Epsom salt and 10 drops of your preferred essential oil. Soak for 20 minutes and feel the pain and tension melt away. Use this treatment whenever necessary.